Why are we here? What is the purpose of life? How do we find happiness? Once again, Old Turtle’s wise answers offer readers of all ages inspiration, solace, and the most important gift of all — hope. 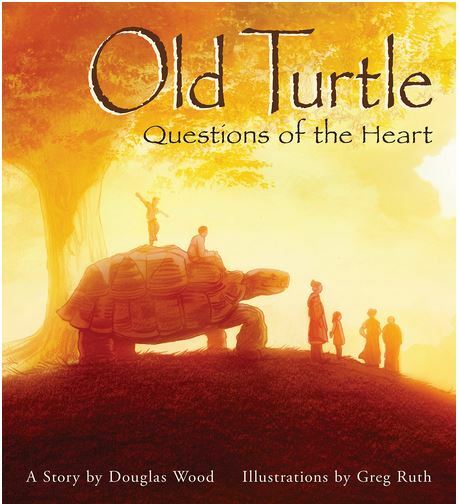 Timed to commemorate the 25th anniversary of the publication of the national bestseller Old Turtle, this companion picture book is sure to delight fans of the original while it simultaneously speaks to the concerns of the world today. New York Times bestselling author Douglas Wood’s tale of wisdom and wonder finds its perfect complement in the ethereal and evocative paintings of Greg Ruth.